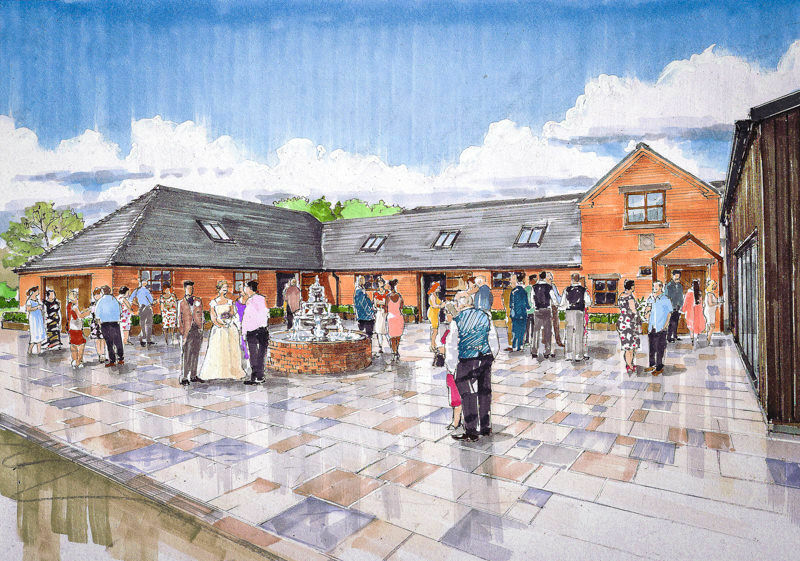 I’m excited to see the opening of a brand new wedding venue in Staffordshire this year: Hanbury Wedding Barn. The project came from the mind of my very good friend and occasional associate Adrian Spencer, the wedding photographer behind Will Hey Photography. Adrian photographed hundreds of weddings around the UK before deciding move over to owning a wedding venue. His experience as a photographer was key in knowing all the elements which make the perfect wedding venue. It's a family-run project which Adrian has worked on with his wife Kirsty, her parents Carol and Mike, her brother Alistair and his wife, Rebecca. His two little girls have even had a go on the bulldozer! 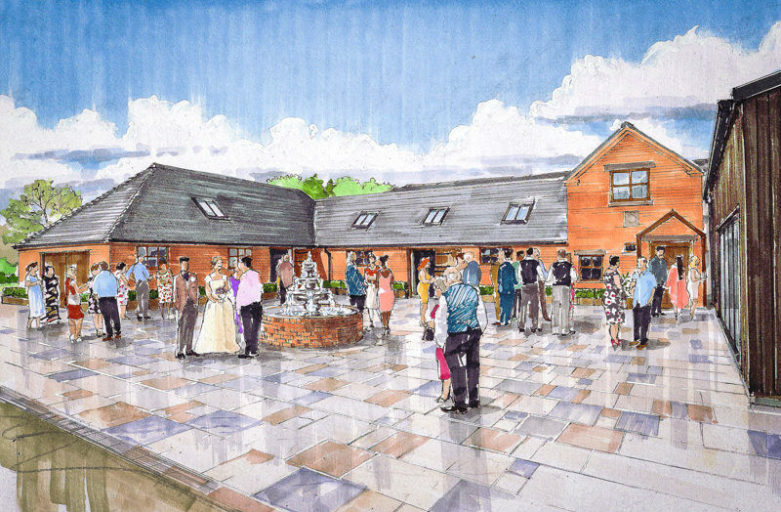 Each of them brought their unique professional skills - from business management to catering experience - all to ensure that Hanbury Wedding Barn becomes the perfect place for your celebration. The 18th century barn is being renovated but its unique character with red brick and wood truss will be preserved. The venue can host up to 160 guests and is licensed for indoor and outdoor ceremonies which are nice options to have with the British weather. The transition between inside and outside is seamlessly done from the breakfast room to the courtyard with two enormous glass doors which flood the space with natural light. Perfect for great photography! Outside, the courtyard acts as the heart of the venue and also offers a beautiful view across the lake to enjoy the sunsets. 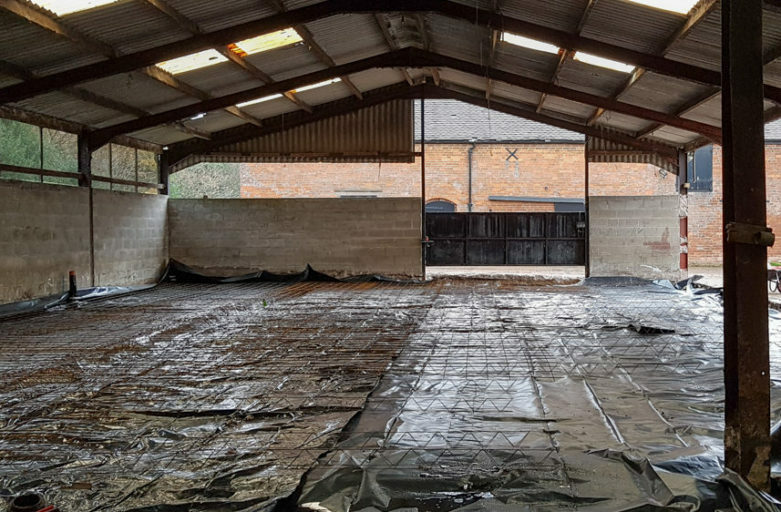 Plenty of greenery surrounds the venue offering the perfect environment for local wildlife and the Hanbury Wedding Barn team have ensured that the site is ecologically orientated. 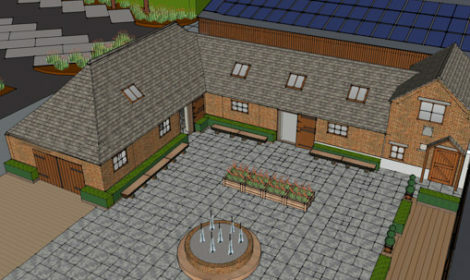 At its peak time they hope that 85% of the energy will be produced between the solar panels, solar hot water system and biomass heating. There will also be some electric car charging points for guests. Apart from hotels, this is the only wedding venue offering this service to my knowledge. As well as two new ecological protection areas, the grounds will be adapted to attract the local wildlife: birds, bats, small mammals and other rodents. So you never know, you might get a few photobombs from the furry or feathered residents of Hanbury Wedding Barn! 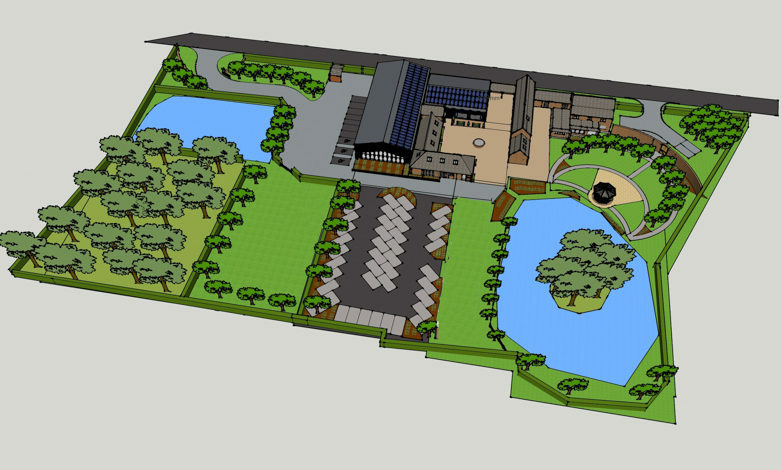 The venue is currently under renovation and will host its first wedding in June 2019. You can follow the progress on their Blog. 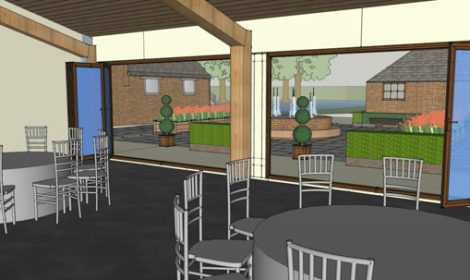 A big thank you to Adrian for allowing me the use of the above images and I can’t wait to see the venue up and running.